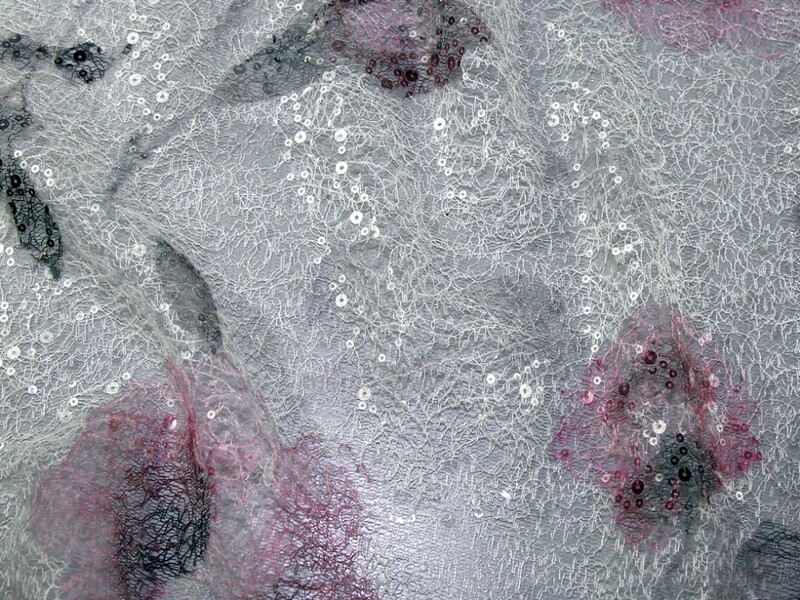 This beautiful sequinned lace fabric named Sofia is so delicate and pretty. There is a large floral design printed every so far along the fabric which is very subtle in soft, muted shades. The fabric is covered with tiny iridescent sequins that catch the light beautifully. Please note, this fabric has been photographed over a pale grey background.